Eaglestone located in St. Charles, Illinois is a custom design and manufacturing company that specializes in safe food processing and packaging. They also do job shop work for the coal industry and hospitality industry. With over 20 years of experience they understand the high demands and sanitation requirements. Their products are custom made to order, Eaglestone does the design to installation process. Carmen Sammauro, the owner of Eaglestone, explained the situation Eaglestone was facing, "We were running two water jets and started running a second shift to keep up with our customer's demands. We also were farming out our laser cut parts which put us at will of their pace". 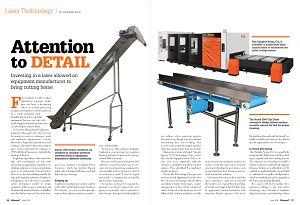 In the food industry, they were especially crunched for time, "those projects have very short timelines that must be met," said Sammauro. "We knew we needed a laser but we weren't in the marketing to purchase one just yet," explained Sammauro. We they were already outsourcing their laser jobs and knew it would help executing projects but Eaglestone just wasn't ready to make the jump. In March 2015, Mazak Optonics Corp. hosted a TechnologyDays which Sammauro attended. "I was impressed with the OPTPLEX NEXUS and all of the standard features. The Intelligent Functions are something that were options on competitors machines". Eaglestone was also limited on floor space wanted something that offered a smaller footprint, the OPTIPLEX NEXUS was the answer. 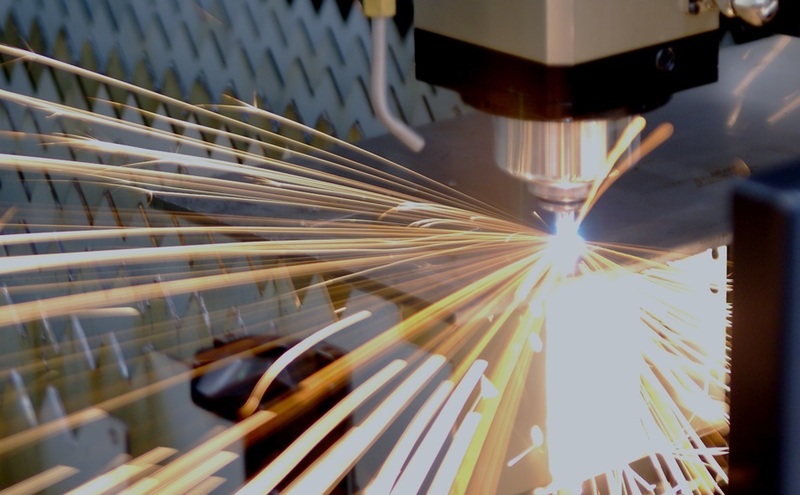 Since the purchase of the OPTIPLEX NEXUS CO2 laser, it has allowed Eaglestone to bring their laser-cutting in-house and eliminate their second shift. Eaglestone is now able to create more prototypes, accept more jobs and finish jobs with a faster turnaround. Full article written and published in the April issue of FFJournal.